Duty Free perfume, can you find your brand at the right price and where? The web is loaded with sites claiming to sell Perfume at Duty Free prices and trying to find a real bargain is a minefield of research. That’s before you get to the airport or on your flight! 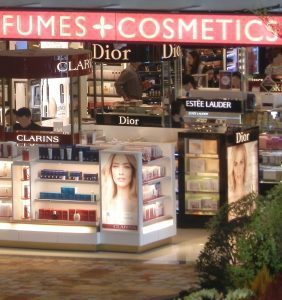 The reality is that pricing for Perfumes or Cosmetics in most airports around the world is relatively standardised. The only real variance is your exchange rate and this depends on where you live. 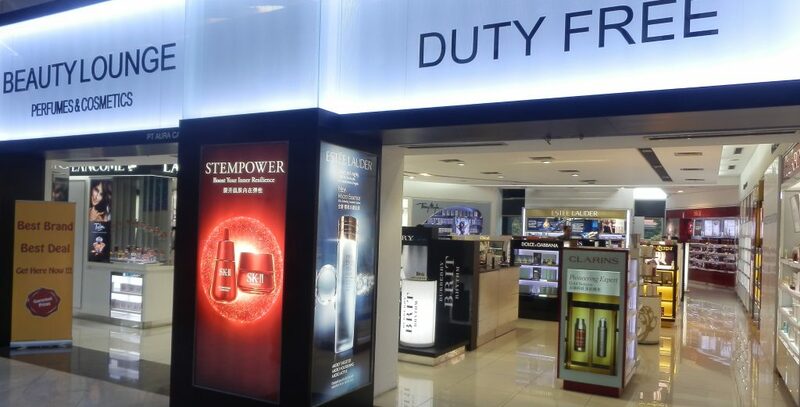 In fact, there is really no such thing as duty free perfume at all, because fragrances only attract local sales taxes, such as VAT in most of Europe (otherwise known as BTW, TVA, IVA or MwSt). In other parts of the world they call it simple Sales Tax (sometimes RST or GST). 99% of the time, there is no “Excise Duty” at all on perfume products, so Tax Free Perfume is really a more accurate description. How much is the Tax on perfume and how much can you save in the airport or on your airline? The highest sales tax we can find is in Scandinavian Countries, Hungary or Croatia, reaching up to 27% added to the base price. But many countries like Gibraltar, Andorra or Panama have little or no tax on luxury goods. This is where you will find the real bargains. One thing to watch out for in domestic stores when comparing, is whether the Sales Tax is automatically included in the price or added on at the cash point. In most of Europe, the tax is already included in the price, in The USA it is added on afterwards. But, this could distort any price comparison you may try to make before your journey. Generally speaking, The USA often has the most competitive prices in the world for Perfumes and there are numerous discount stores selling older and sometimes current brands at very low prices. The most expensive? Countries with low currency value and/or high import taxes on luxury products. Brazil is a good example of this, where relative to the local wages, luxuries like fragrance or cosmetics are very expensive. Buying Perfume online? This is another minefield, especially if you buy and need to have your goods shipped across borders to your home country. Are you going to get stung by Customs for import tax? It would seem that the best online prices can be found at British or American online stores, so if you are travelling to these countries you could perhaps order and have the goods delivered to your hotel. Airline in-flight stores and airport duty free shops do have bargains, but you should research in advance and pick over the brand selection first. One important bonus when shopping in the real duty free* perfume market, is that the bottle sizes are usually larger. The price for your perfume in the air might look much the same as in that downtown store, but often the Travel Retail size is slightly bigger. This gives you an advantage and a price saving against the High Street or online retailers. They also do specials and exclusives, not available downtown. And, you get the goods in-hand, no need to wait for delivery. – Check your perfume prices in advance, direct with the Duty Free store and make your own comparison. – Be wary of online comparison sites that might not compare like-with-like. – Double check the bottle sizes available, when you compare and browse. – Make sure that you get your purchases packed in an Official STEB Airline Security Bag. Otherwise you might risk confiscation whilst in-transit. *Genuine Product- Fake Perfume: Duty Free on Arrival sees many blogs, comments and also receives numerous emails suggesting that people have allegedly been sold fake perfumes in an airport. **Airport retailers and certainly airline shops work together with Official Concessionaires, the Brand Owners and also The Airport Authorities. It is just not conceivable that these professional and compliant Organisations would indulge in such a practice. ***On the very rare occasion that a Consumer might believe that the product is not genuine.. there is a simple adage. "If it looks too cheap then it is too good to be true"! Likewise, Fakes almost always make a spelling mistake on the packaging... so check before you buy! Previous Previous post: Best Duty-Free Shopping tip – do not compare prices! Next Next post: Can you buy Duty Free on a train or at the station?